Despite the more industrial function, the laundry and maintenance facility is designed to be as timeless and elegant as any other campus building. 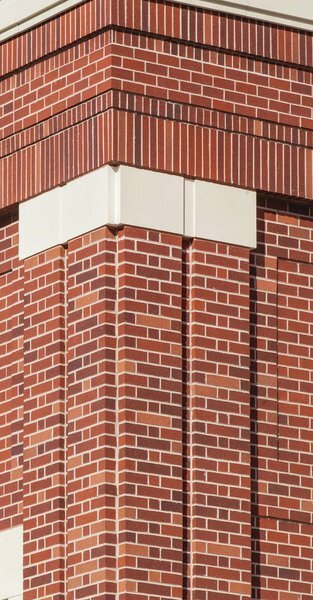 Custom red brick developed specifically for the university, architectural precast accents and artful detailing combine to create a pedestrian scale at this private research university founded in 1875, owned and operated by The Church of Jesus Christ of Latter-Day Saints. Vision for the Brigham Young University Laundry and Maintenance Facilities was to establish an appropriate design aesthetic which exemplifies the quality and character of BYU University. Another goal was to develop a design solution that was mindful and sensitive of the surrounding student housing complex. These goals, and the desire to create a welcoming image to both patrons and residents, lead the design team to consider appropriate building elements and materials that respond to the surrounding context and carefully consider how they relate to a pedestrian scale. Specifically referenced are materials used on the new housing buildings located southwest of the proposed site just west of 900 East. These materials consist of red brick, accent elements of architectural precast and conservative amounts of metal panel. When contemplating the massing characteristics of large production facilities and warehouses, scale and aesthetics become important factors. With this in mind, the team explored design expressions by articulating the palette of materials so that the perceived scale and aesthetic of the buildings would complement the surrounding residential and university context. Corbeling entablatures with soldier and rowlock courses produce shadow lines which generate depth and relief. 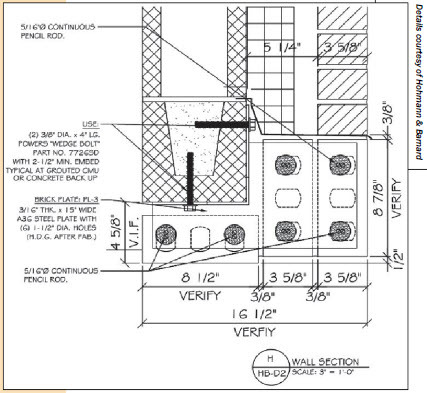 Figure 1 – Exterior Elevation of Masonry Shear Wall. More stringent reinforcement detailing of masonry shear walls to obtain more ductility in the lateral resisting system is required by code for Category D High Seismic Zones. Paired masonry and architectural precast pilasters visually reduce the scale of vertical supporting elements of the building. Bays of colonnades with recessed wall panels orchestrate a pleasing rhythm and add richness to the facades. Windows accented with precast concrete surrounds punctuate the large openings that let light into the spaces and allow views to the outside. Cantilevered metal canopies protect entrances and loading docks as well as provide an additional layer of visual interest to the building aesthetic. All of these gestures contribute to the overall composition, while still allowing the building to be visually digested into manageable bites. Special Reinforced Masonry Shear Walls for the lateral resisting system are required for buildings located in a high seismic region defined as Seismic Design Category D per the IBC 2012. To improve ductility in the masonry shear walls, TMS 402-11 requires specific minimum reinforcing and detailing. One requirement limits spacing of vertical and horizontal reinforcement based on the length and height of the shear walls. Use of running bond versus masonry not laid in running bond also affects this limit. Another way TMS 402-11 helps to increase the ductile performance of masonry shear walls is by using a 1.5 load factor applied to the in-plane shear forces for shear walls designed using the allowable stress design method. The intent of increasing the design seismic load is to make the flexure mode of failure more dominant. Roof structures consist of wide flange beams and open web joists supported by exterior masonry walls. Roof diaphragms are considered flexible and therefore the code requires anchorage of joists and beams to masonry walls to be two times higher in high seismic regions. Masonry wall bearing embed plates and open web joist bearing shoes were designed accordingly. Unique layout and detailing of the brick veneer played a major factor in deciding what structural framing system should be used. A structural system using steel beams, columns, braced frames and an exterior metal stud backup wall for the brick veneer was considered. This system would have required an additional metal stud interior wall to hide the braced frames and to provide a clean wall surface for the laundry and maintenance space. 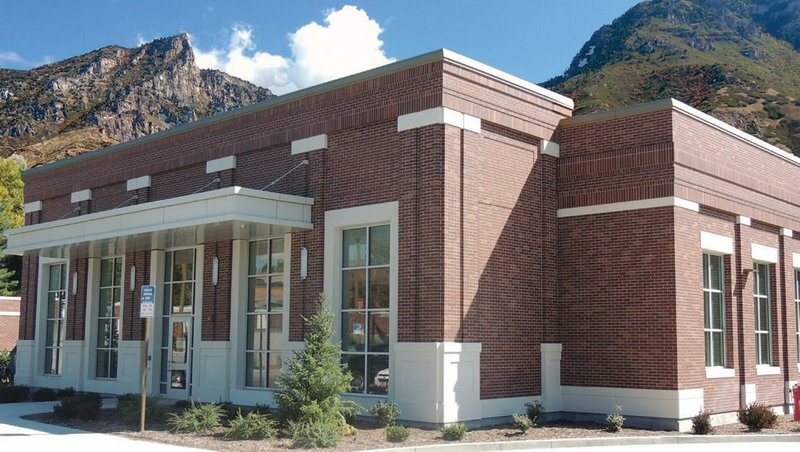 A blend of Mountain Red, Cinnamon and Manhattan matte finish 2 1/4" x 12" Norman Interstate Brick clads the BYU Laundry and Maintenance Facility. Articulation of this corner is magnificent with the soldier coursing of both headers and stretchers as well as running bond and alternating courses of headers and stretchers, recesses, protrusions and framing. 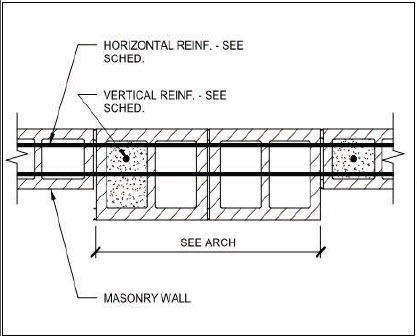 Figure 2 – Structural Masonry Pilaster Detail. Using various block thicknesses for CMU backup simplified out-of-plane support for stepped veneer pilasters. 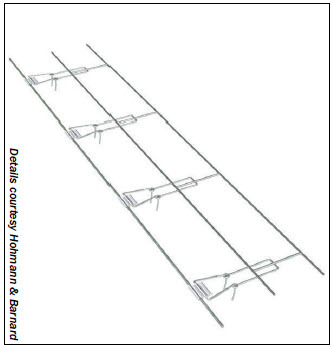 Figure 3 – Veneer ties are seismic anchors that transfer out-of-plane movement of exterior masonry veneer to a structural backup system with ladder-type joint reinforcement in the wall mortar joints. The architect and owner requested the use of a concealed lintel system at areas above wall openings and above the brick veneer recessed panels. The manufacturer designed and detailed this effective system. 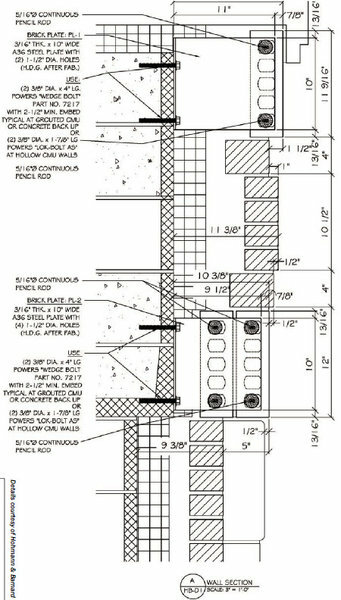 The necessary steel plates and anchor attachments were carefully coordinated with the reinforced masonry backup walls. Figures 4 and 5 show a typical detail at these concealed corbels and lintels. Located at the intersection of University Parkway and 900 East near the base of the prominent Wasatch Mountains, the new maintenance and laundry facility provides support to The Church of Jesus Christ of Latter-Day Saints Missionary Training Center, single and family student housing facilities and other key facilities on BYU’s campus. The laundry building provides laundry, dry cleaning, alterations and uniform rental services to BYU and the Missionary Training Center. These facilities are great examples of how masonry can provide simple, economical solutions for elegant buildings in high seismic regions. Concealed Lintel System at Corbels (Figure 4 right) and Wall Openings (Figure 5 below). Carefully detailed plans ensure all steel plates and anchor attachments are coordinated with backup CMU and remain hidden for an uninterrupted, visually-appealing look while reducing the need for future maintenance. Troy Dye, SE, senior project structural engineer, ARW Engineers, Ogden UT. Masonry’s versatility and resilience provide both durability and high lateral force resistance while simultaneously providing a strong economical backup system for elegant and complex veneer systems even in high seismic zones. My simple solution. Chad Nielsen, AIA, chief executive officer, MHTN Architects, Salt Lake City UT. By utilizing masonry as a creative and highly functional medium, a visual interest and richness of depth can be expressed about a building’s composition at multiple levels.